For the co-founder of Kogi food trucks, Highway 1 represents the journey from failure to freedom. Highway 1 to Santa Barbara is what we Angelenos know. It's a winding, rocky, magnificent road that passes through Malibu and splits Mugu Rock to merge with highways through Oxnard and Ventura before turning back to the coast and its cliffs. It's a road that invites a foot on the pedal and blueprints flying out of the window. I've traveled the road many times for family trips up the coast, to walk the halls of Hearst Castle, or for fishing trips in the morning, before the sun pierces through the mountains. But the last time I took this road, it was not for vacation or for swordfish. It was more like a sword to the stomach. I had just gotten fired from my job as a chef, at the pinnacle of my career. It was the morning, and even before my shift could start, I was let go. I deserved it. But it still came like a ton of bricks. As a grown man, I had failed and fallen flat on my face, left in complete shock standing in the middle of a Westside shopping mall. I raced to my car, barfed out my soul in the parking lot and raced up the coast in a daze, not knowing what the hell had just happened or what the hell I was going to do next. The salt air did not heal the wounds, and I struggled for the next few months in search of a job, but I think my time was done. My career as a corporate chef had run its course. I was no longer adept at running those kinds of kitchens. Then a friend called, and the streets became hungry. I got behind another wheel and stepped on the pedal—and I haven't stopped since. Maybe it's time to revisit the coast on Highway 1, but this time, in a taco truck. 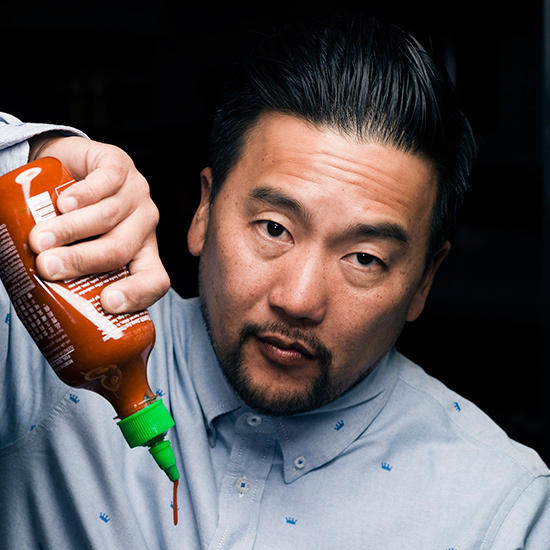 F&W Best New Chef 2010 Roy Choi recently opened The Line Hotel and wrote the memoir L.A. Son.